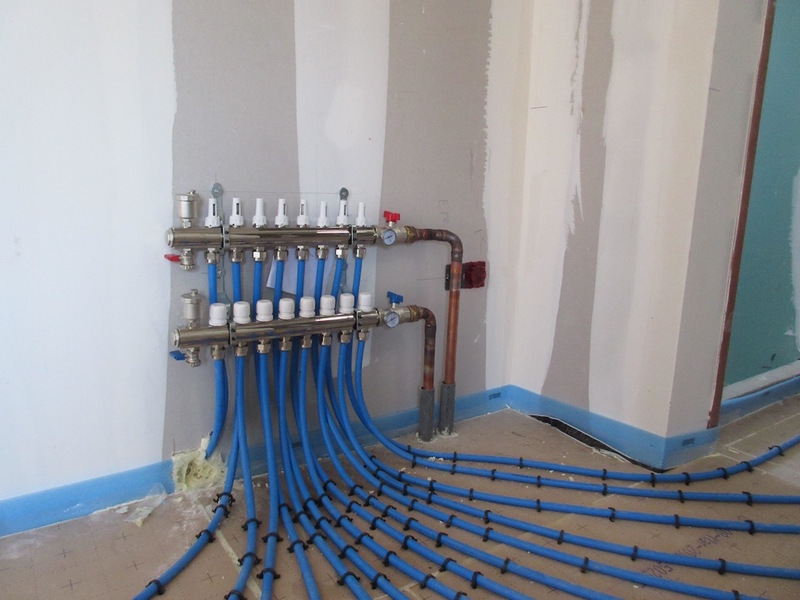 We finally got to see our underfloor heating this visit. I had spoken to the project manager a week before, so I knew they had started it, but we weren’t sure how far along it would be. It was done! 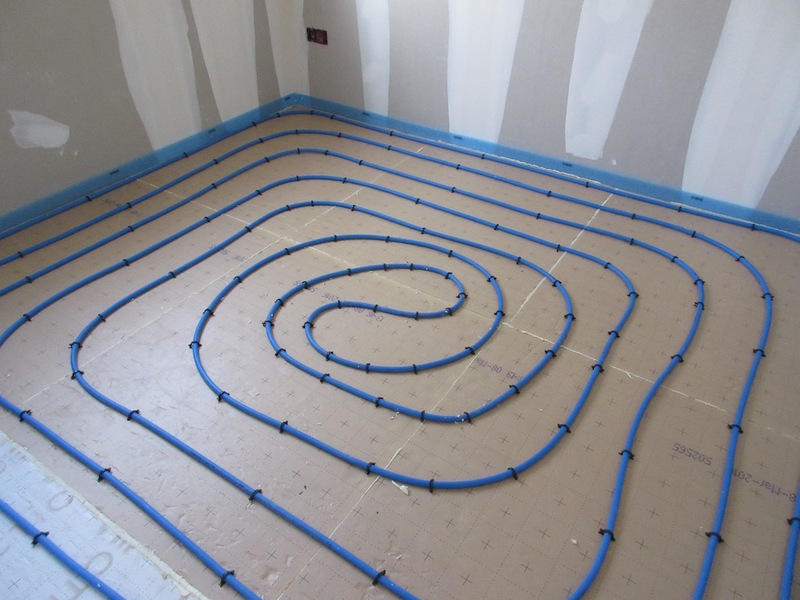 We were greeted by a network of blue water pipes snaking across the floor, once again making it quite difficult to walk around the house. They all come together at a big distribution point. Surprisingly, no one had mentioned this to us before, and much smaller bits of infrastructure made it into the plans. They have put it in a cupboard, so at least it will be hidden, but it does change our plans for that cupboard a bit. 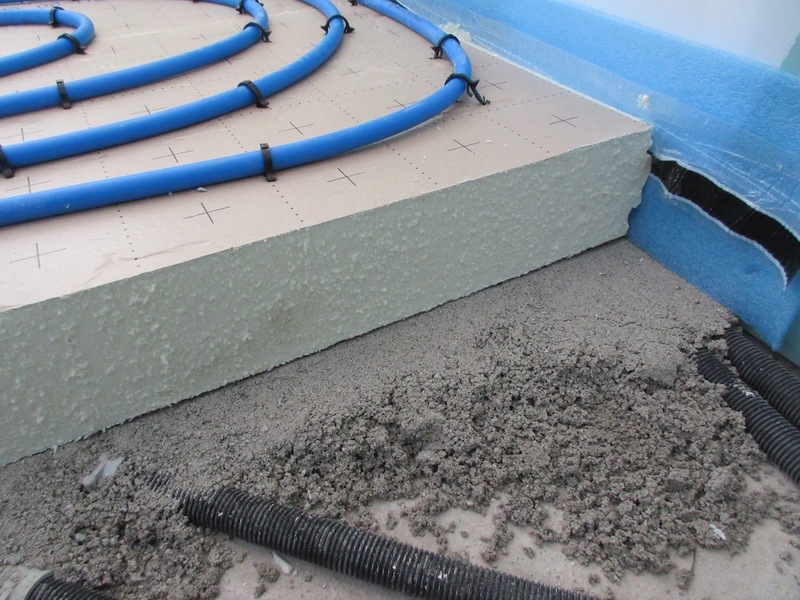 The underfloor heating is a big part of the build for us. It is something we wanted from the very beginning of the project, before we had designed the house, and it has informed some of our other choices. We are having tiled floors throughout the house because they are the best conductors of heat, for example. It’s the most expensive “optional extra” of the build. Both in terms of the monetary cost, and the two months it adds to the construction schedule. But, compared with standard hot-water-based radiators, it is much more efficient to run, and provides consistent, evenly-distributed heat. It also frees up space on the walls that would otherwise be taken up by radiators. 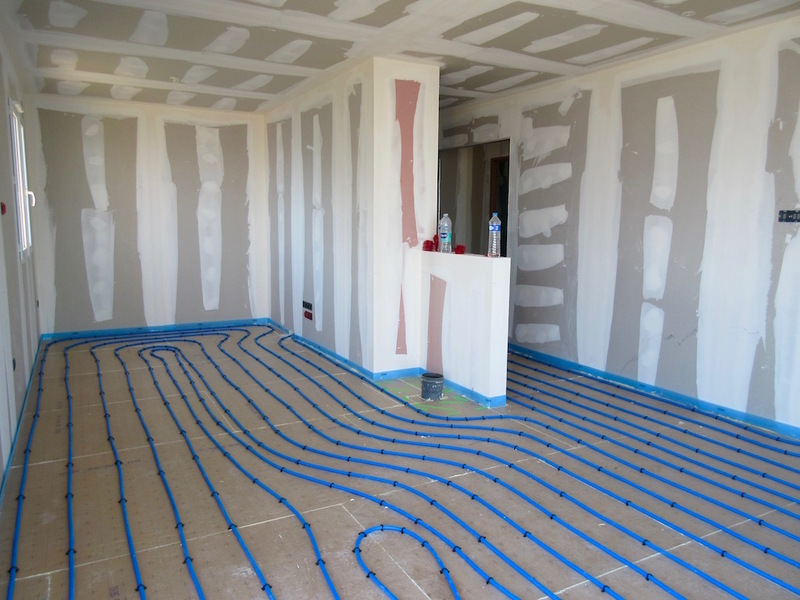 As we really start to feel the cold in our Lyon apartment, I dream of that underfloor heating. Published on 10/12/2016 by Megan Miln.